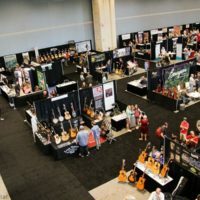 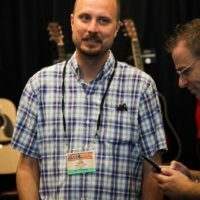 One of the big attractions during the annual World of Bluegrass conference is the Exhibit Hall, located in the bottom level of the convention center. 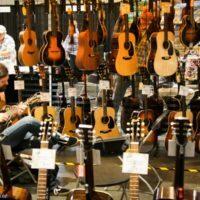 For pickers there is always a plethora of instruments on display, plus every sort of accessory imaginable. 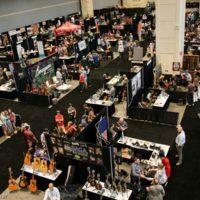 Audio geeks can be tempted by new gear, bands lure people to their booth with live music and autograph opportunities, and broadcasters pitch to potential advertisers and artists alike. 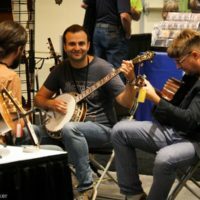 One recent wrinkle over the past few years has been the proliferation of colleges offering degrees in bluegrass music performance, as well as more general Appalachian Studies programs. 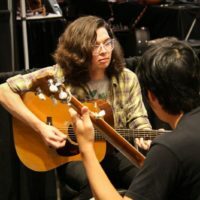 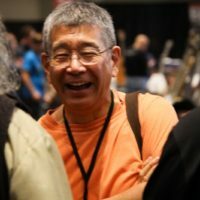 Several were on hand in the exhibit hall this week, providing materials and looking to sway the many young musicians in attendance to come and study with them. 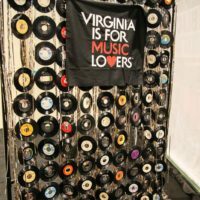 Also new this year was several communities in southwestern Virginia who used funds from the Virginia Tourism commission to set up booths in the hall, extolling their cities and towns as places to come and enjoy traditional mountain music and culture. 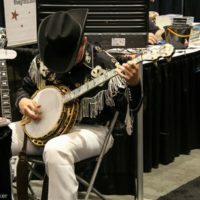 Virginia’s Crooked Road, an organization that promotes tourism in the region using bluegrass and old time music as an attraction, was also on hand. 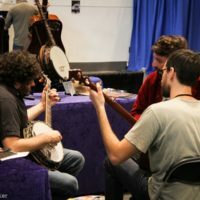 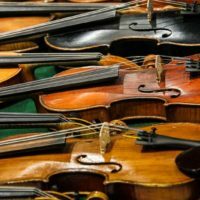 Clearly, it was the instruments that were the main draw, with artists jamming an checking out banjos and fiddles in every corner of the room. 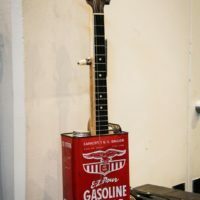 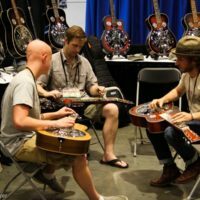 Retailers and instrument builders alike enticed folks into their booths with an array of exceptional guitars, resonator guitars, and mandolins. 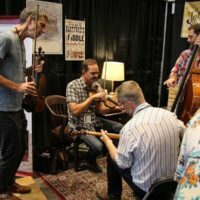 Starting tomorrow, with the advent of the Wide Open Bluegrass festival in downtown Raleigh, the exhibit hall will be open to the general public at no charge. 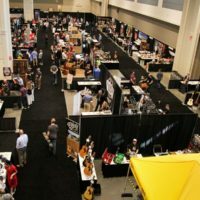 There is quite a lot to see and hear down there, so come on down!